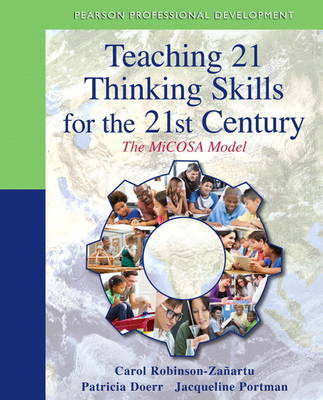 Teaching 21 Thinking Skills for the 21st Century: The MiCOSA Model, gives K-12 teachers, administrators, staff development coordinators, and school psychologists practical, hands-on help for developing students' thinking skills across the curriculum and shows educators how to help students use the information they gain to solve problems and innovate new solutions in today's diverse and challenging classrooms and world. The book details 21 essential and critical thinking skills, using case examples from real classroom and multiple video clips to illustrate the concepts, and includes over 100 classroom strategies to augment and support the examples of the mediation presented in the MiCOSA Model. A rare balance of cultural education, critical thinking skills, and 21st century skills. I appreciate the expertise in this book. It is clear that the authors are authorities in their fields and know exactly what they are talking about. The thinking strategies in this book are excellent. There are many great examples that teachers could implement immediately.